Are IVAs too Good to be True, or do They Really Help? 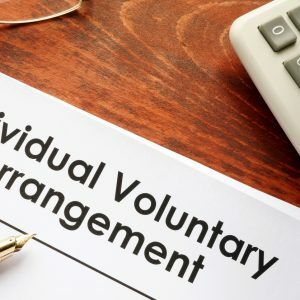 An Individual Voluntary Agreement (IVA) comes with many benefits when it comes to solving debt trouble. For one, you will have a considerable sum of your debt written off. Another notable plus is that – if you are a home owner – you will have your home protected by law from creditors seeking to exploit that. Many consumers ask the question: “what is an IVA?” Surprisingly, there are a number of people who are simply unaware that they have this option. We take a look at the common pros and cons below, in order to build a solid picture of what entails. Providing your IVA has started – and you have demonstrated willingness to see it through – there may be some chance of applying for lower payment terms. This is never guaranteed, however, and if you are unable to stick with the original agreement if you have been rejected, then you may be required to terminate the agreement. The danger of doing this within the first 18 months is that you may be back to where you started. As payments are targeted at fees and not debt in this period, it is important not know this. Those who are homeowners and have properties with equity should also be made aware that, should the IVA fail, you may be forced to register for bankruptcy which can lead to you releasing equity from your house. In this case, it is crucial not to enter into an IVA unless you are absolutely confident that you have the means to make payments. The aim of an IVA is to get you out of debt over a slow period of time – make sure, that if you enter into one, it stays that way.